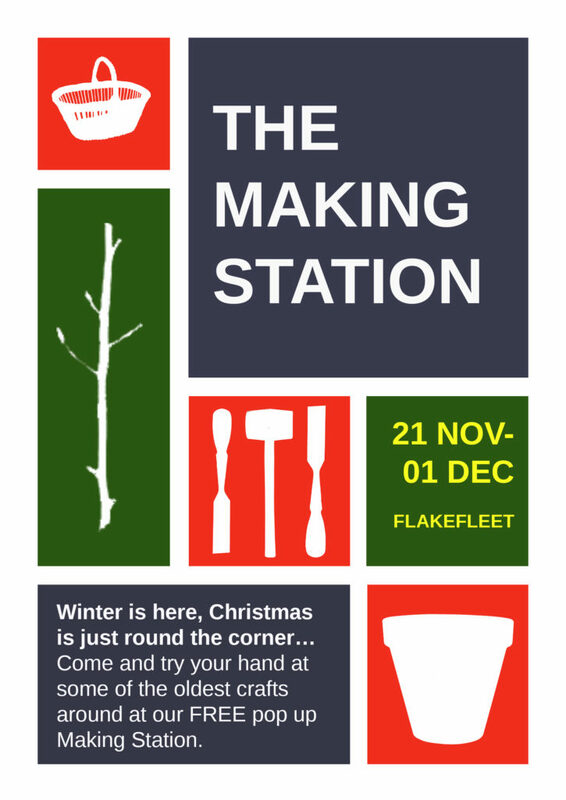 In November we are hosting two weeks of pop up making workshops around Flakefleet in Fleetwood. These are free opportunities to try pottery, wood carving, wicker and collage. It’s an opportunity for residents to make something for their homes or to give to their friends and neighbours. We’d love to meet people who would like to become part of a welcoming committee for an artist in residence who will be arriving on the estate in spring next year.